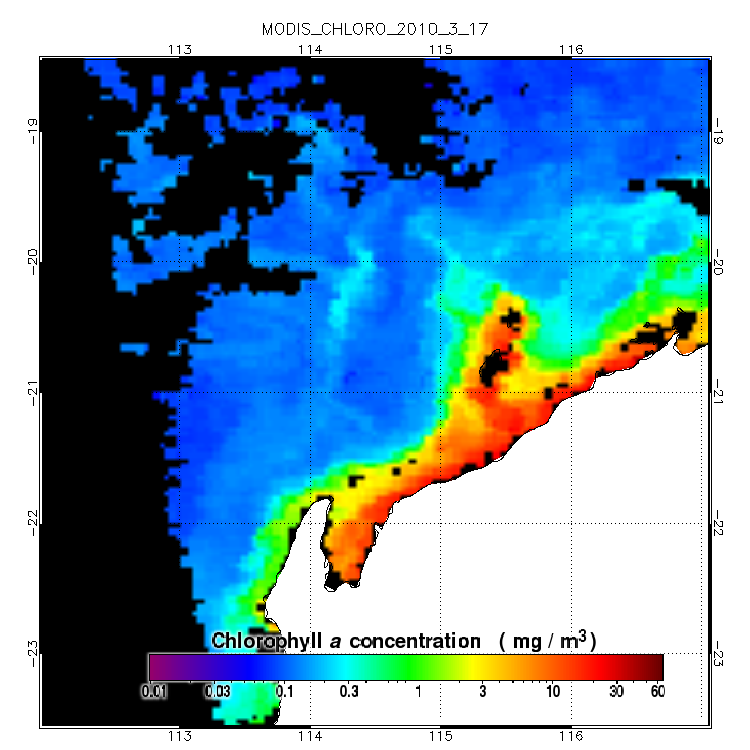 Premium members have access to Buoyweather's Chlorophyll Charts, which indicate the concentration of chlorophyll in the water, measured in milligrams per cubic meter. High levels of chlorophyll will be represented by the red/yellow colors and low levels will be shown as blue shades on the chart. 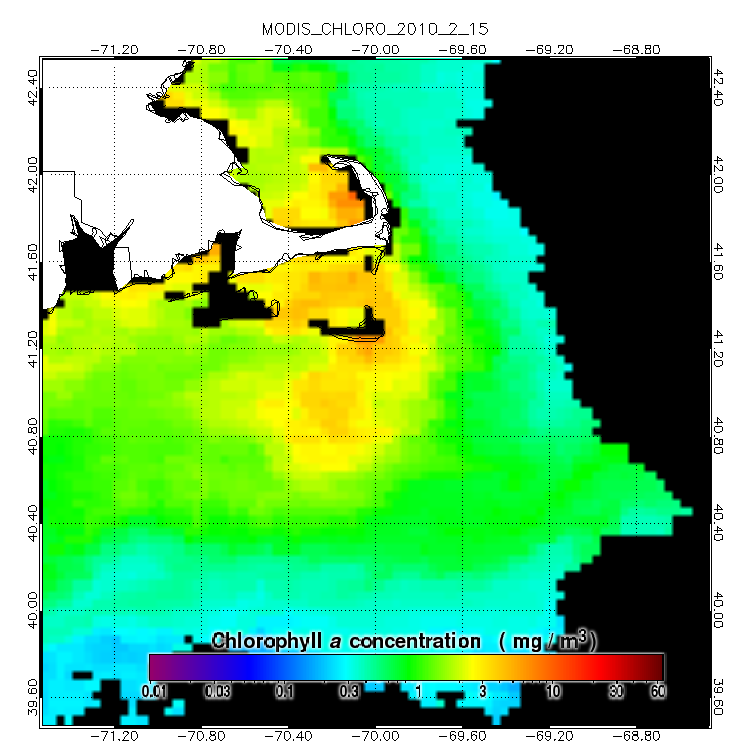 Chlorophyll in the water is generally produced by plankton, so what we are in effect measuring is the amount of plankton (food!) in the water. If you are not already a Premium member, sign up for a 15 day free trial so you can use the Chlorophyll Charts for your fishing location. High levels of chlorophyll should indicate off color, nutrient rich water. 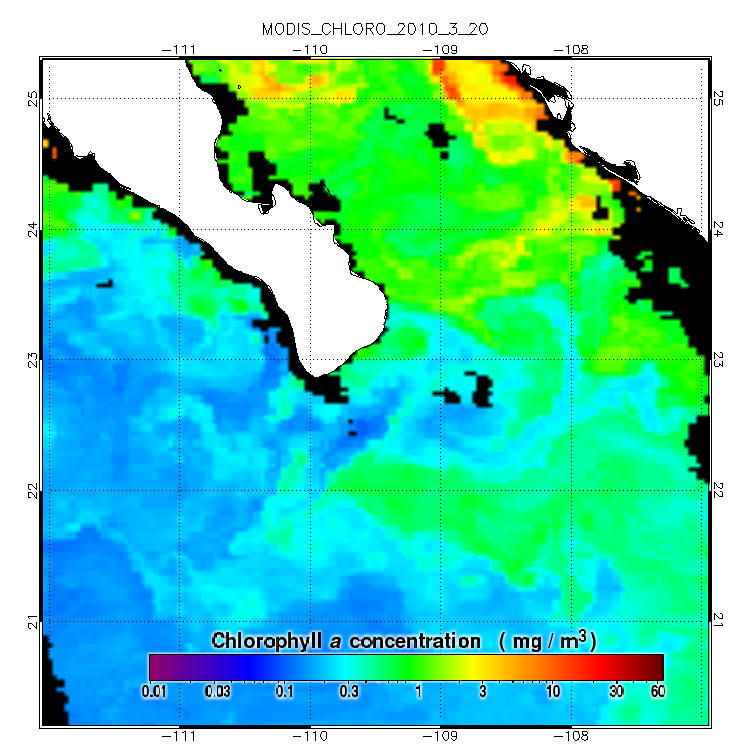 Lower levels of chlorophyll should indicate cleaner water. Remember that the clean blue water is also most likely very low in nutrients, so the best combination for offshore fishing would be to find where the clean blue water meets an area with a higher level of plankton. That area will be more likely to hold baitfish and to concentrate the fish. We do our best to update the chlorophyll charts on a daily basis. There is usually only one usable satellite shot per day to work with. Every 4-5 days the orbit of the satellite causes the area to be missed completely. 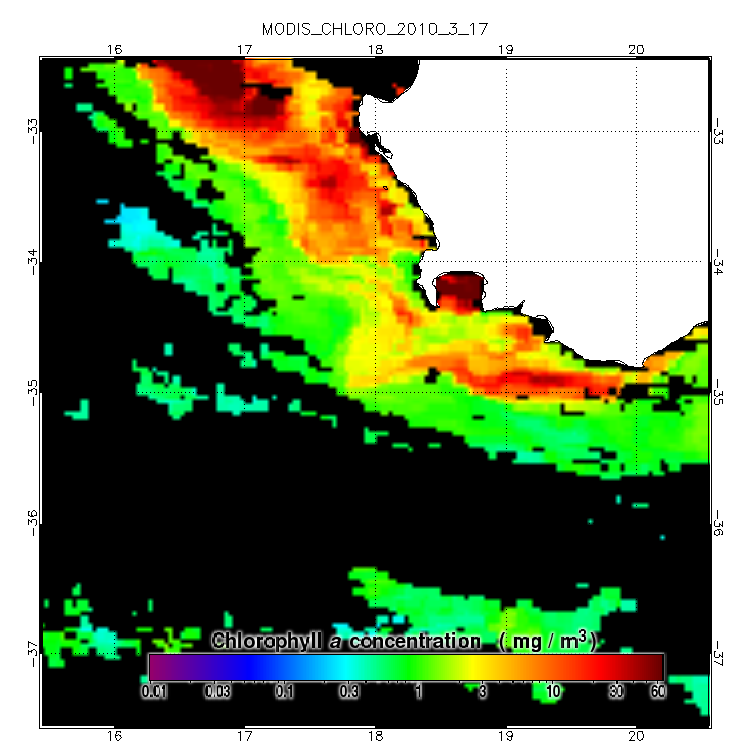 Clouds block the satellite's view, and the glare of the sun can also block the satellite's ability to see the water, so in reality about the best we can expect is to have a new chlorophyll shot 4-6 times per week. That's assuming some clear weather. Cloudy conditions will further reduce the frequency. 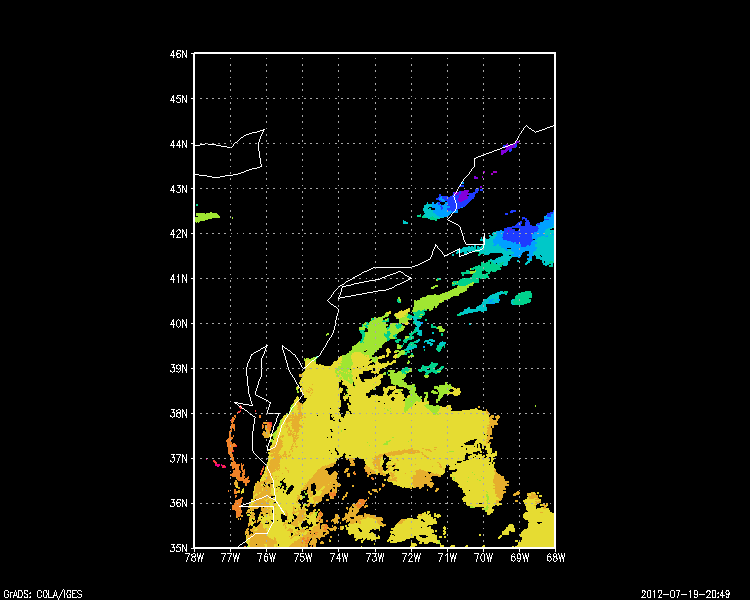 Some regions that are generally clear will get chlorophyll chart images almost every day. Other regions prone to cloud cover will have to get lucky. This will change through different seasons as well. To access the Chlorophyll Charts, go to your fishing location using the navigation menu at the top of the page on the left. Once you have clicked on your exact latitude/longitude, the fishing tool option for "Chlorophyll Charts" will appear to the left. Try it out now! 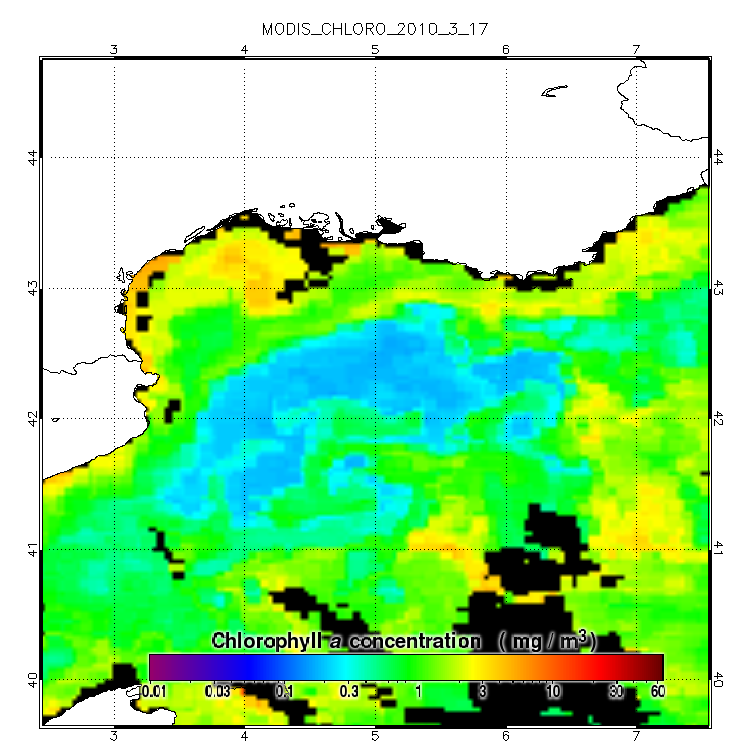 If you are not already a Premium member and would like to see Chlorophyll Charts for any ocean point in the world, START A PREMIUM FREE TRIAL NOW.